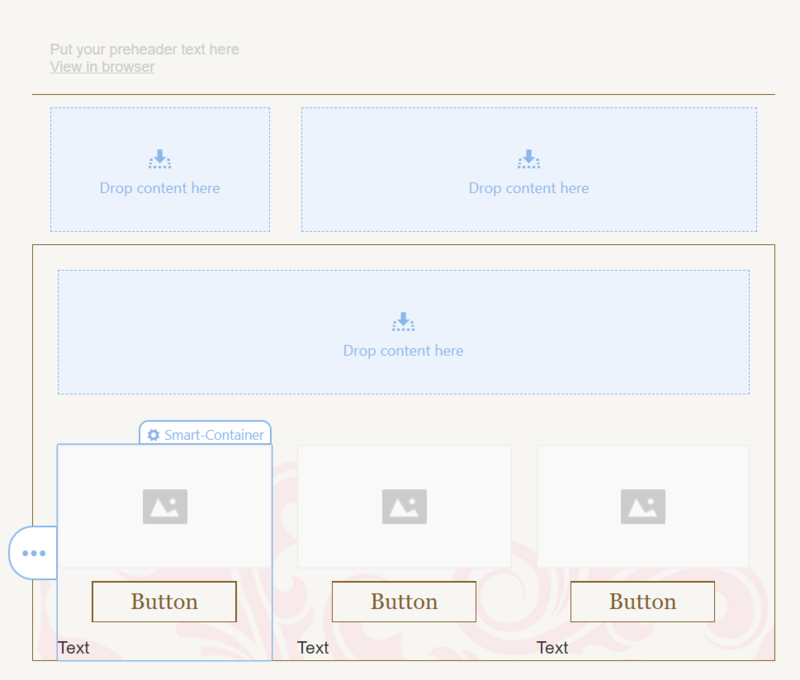 How to Add an Image, Text, Button, Spacer, Video, Banner or Menu in Your Campaign? Learn how to add different images, texts, buttons, etc. in your campaigns. Step 1: Add a Structure in your campaign that has containers in them from the Content tab of the Campaign Editor. You can choose 1-column containers, 2-column containers, etc. Take note, you can always edit the padding between the containers as well. Step 2: Once you have the containers on your campaign, you can drag and drop the block (ie. image, text, button, etc.) on the container or you can hover the container and you can click between the image, text, button icon on the container. Step 3: You can add more blocks inside the container by dragging and dropping the components. Step 4: You can also add any saved Stripes, Structures or Containers into the campaign by finding it in the Library tab of the left panel then drag and drop them. To learn more about how to save a component into your Library, go to this article. Step 5: You can edit the component's background color, styles of your containers, etc. under the Content tab on the left panel of the Campaign Editor. Click on the component you want to edit and you will see the different options you have on the left panel. To learn more about the Content tab, go to this article. Start creating your awesome campaign!